Country Boy Brewing and West Sixth Brewing will get together again to collaborate on a beer for Lexington Craft Beer Week. This time, it will be available in cans. It is aging in bourbon barrels even as you read this, so get your taste buds ready. Country Boy Brewing and West Sixth Brewing, two Lexington-based craft breweries, will be collaborating to create the official beer for Lexington Craft Beer Week. This beer, which will be available in cans and on draft during craft beer week will be the first ever collaboration ale that has been packaged and canned by two Kentucky breweries. The beer, called “Country Western Volume 2,” is a bourbon-barrel aged brown ale that was made with Kentucky sorghum. “We’re super excited to announce today the second annual collaboration between West Sixth and Country Boy”, said West Sixth founder Ben Self. 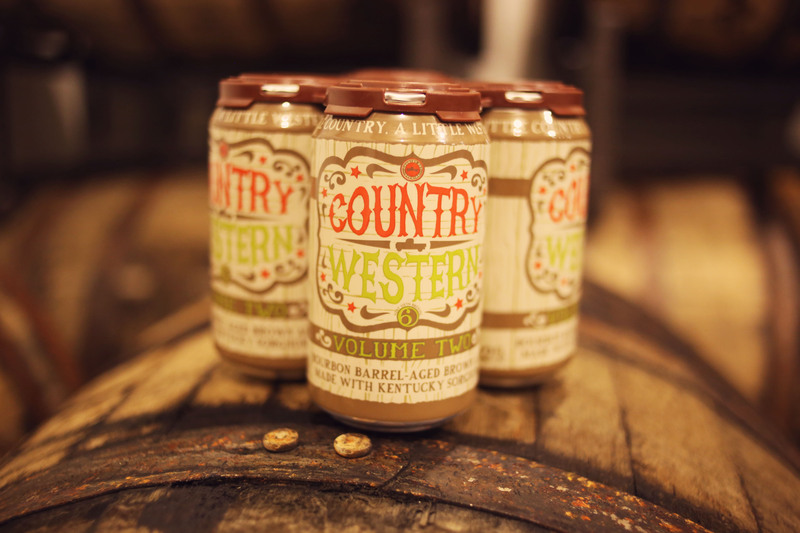 Country Western Volume 2 was brewed a couple months ago and has been aging in bourbon barrels since that time. It will be canned next week and available on draft at both breweries on May 9th at noon, and then in cans at both breweries on May 15th at 5pm. The beer is packed with Kentucky spirit and flavor. Roasted and malty notes from this brown ale pair seamlessly with the teasing bourbon aroma, and subtle oak notes. The sticky sweetness comes through from the Townsend Sorghum. Aged in bourbon barrels for 2 months, this collaboration beer is a little country, a little western, and a whole lotta fun.